With the Tenant File, you can save your report settings, such as the starting and ending report date, sort preferences, 'print to' setting, and heading preference. Just click the 'Save Settings for this report' button. 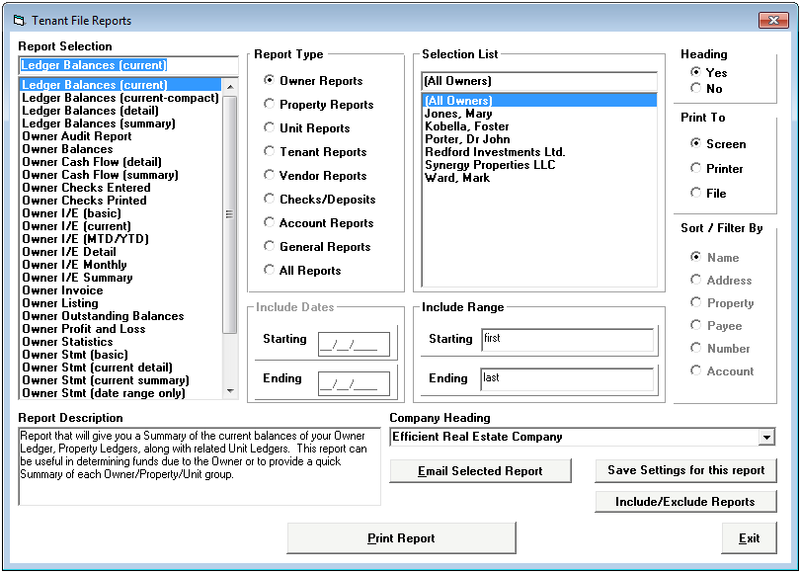 Settings for every report can be saved. This will save you time getting set up and will remind you of the dates for the last printing.